Lernsys Homeschooling Academic Video Courses. 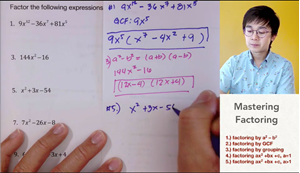 eleventh grade Core math Video Course With Worksheets, Answer Keys, Tests and More! 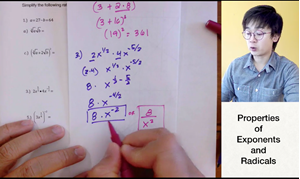 This video shows you tips on how you can effectively use the video lessons in learning math for 11th grade. This lesson shows you how to answer the odd numbered problems from the worksheet. This video shows you how to answer the even number problems from the worksheet. 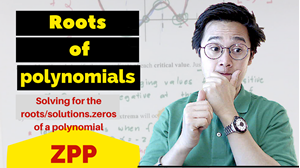 This lesson shows you how to use the zero product property in solving for the roots or zeros of a polynomial in its factored form. this lesson shows you how to answer the odd numbered problems on finding roots of a polynomial. this lesson shows you the factoring techniques you need in answering problems involving solutions of polynomial functions. This lesson shows you how to answer the odd numbered problems on how to factor polynomials using different techniques. 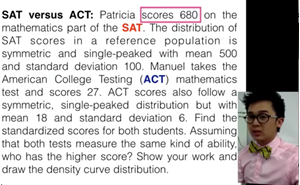 This video shows you how to answer the even numbered problems from the worksheet. 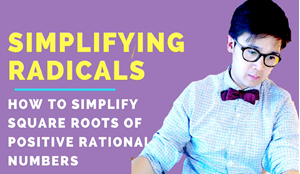 This lesson shows you how to solve radical equations by taking the power of the roots. 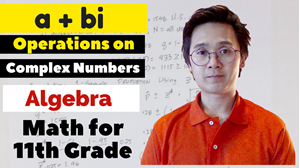 This video shows you how to answer the odd numbered problems from the worksheet. 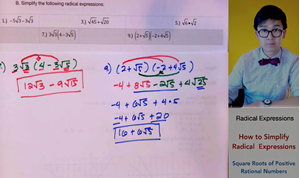 This video shows you how to use the properties of radicals and the law of exponents in solving radical expressions. 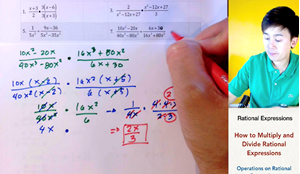 This lesson shows you how to add, subtract, multiply, and divide polynomials. This lesson will show you how to answer the ODD numbered problems from the worksheet. 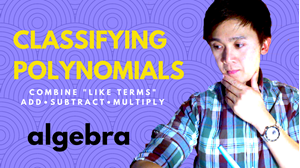 This video is on practicing on how to change a polynomial in its standard form. Standardizing polynomials sometimes require you to add, subtract, multiply and divide polynomials. 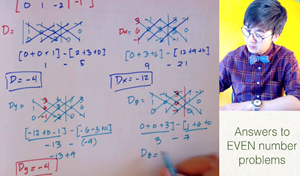 This lesson shows you how to divide polynomials using long division and synthetic division. 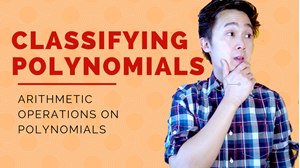 This video will help you in answering problems involving division of polynomials with a binomial as a divisor. 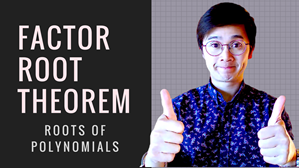 This lesson shows you how to find the roots of polynomials using the Factor Root Theorem and Remainder Theorem. In this method, synthetic division will be used to verify possible solutions or roots of polynomials. 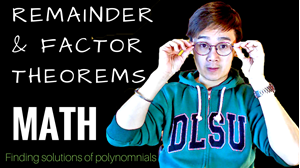 This lesson shows you how to use the Remainder Theorem and Factor Root Theorem in solving non factorable polynomials. 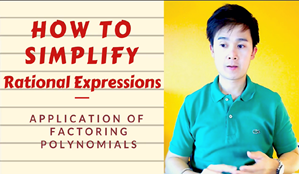 This lesson shows you how to use the Law of Exponents and factoring method in simplifying rational expressions. this lesson show you how to answer the odd numbered problem from the worksheet. 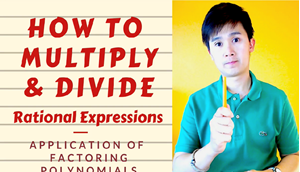 This lesson shows you how to multiply and divide rational expressions. Multiplication and division of rational expression is similar to how you multiply and divide regular fractions. You need to use the Law of Exponents and factoring technique in simplifying rational expressions. 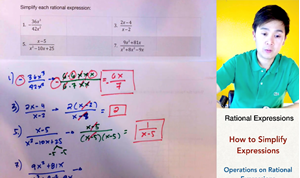 this lesson shows you how to answer the odd numbered problem on multiplying and dividing rational expressions from the worksheet. 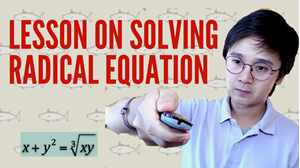 This lesson shows you how to add and subtract rational expressions. The process of performing this operation is similar to adding and subtracting regular fractions. 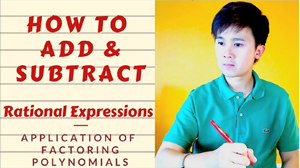 This lesson shows you how to add and subtract rational expressions. 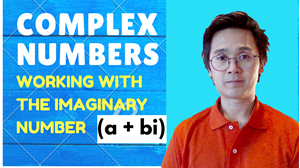 This lesson shows you how to simplify algebraic expressions in a square root. 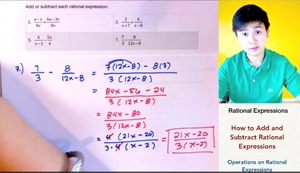 This lesson shows you how to simplify radical expressions and evaluate expressions in a square root. This lesson shows you how to shade the region of the solution set of the systems of linear inequalities. This lesson shows you how to find the solution set of a system of linear inequalities by graphing. 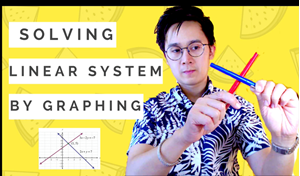 This lesson shows you how to solve systems of linear equations using graphing method. To better understand this lesson, you should know how to graph a linear equation in the slope-intercept form (y=mx+b). 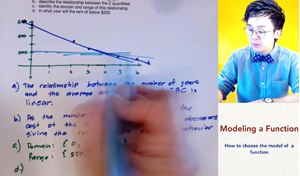 This lesson contains solution video on ODD numbered problem from the WORKSHEET. 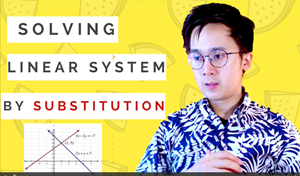 This lesson show you how to solve systems of linear equations using the substitution method. In this method, you will solve the system algebraically. 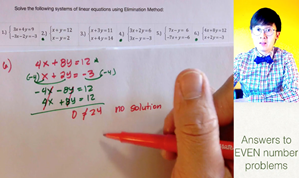 This lesson shows you how to solve systems of linear equations using the ELIMINATION method. 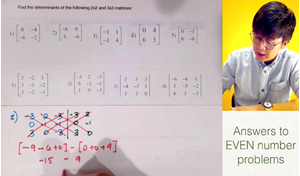 In this method, you will solve the system algebraically by finding "zero pairs" in the system. 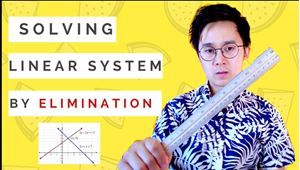 This video shows you how to solve problems on finding the solutions of linear system by substitution. 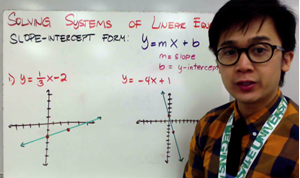 This lesson is your prerequisite in learning how to find the solutions of a linear system with 3 VARIABLES (x,y,z). 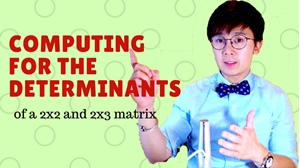 In this lesson, you will learn how to find the determinant of a 2x2 and 3x3 matrix which will help you in finding the solutions of a 3-variable linear system. This lesson will show you a more systematic way on how to solve linear system with 3 variables (x,y,z). 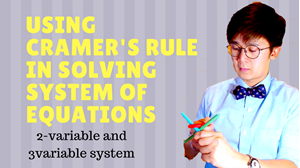 In using Cramer's rule, you will need to convert your linear system into an augmented matrix to solve the system. Finding the determinant of each matrix is your key in solving for the solution of this 3-variable system of equations. 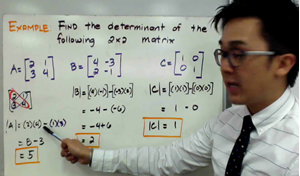 This lesson shows you how to use the determinants of a matrix to find the solutions of a linear system with 2 variables and 3 variables. 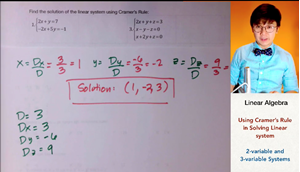 Cramer's rule is used to solve system when you convert your linear system to its augmented matrix. 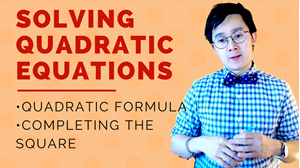 This lesson shows you how to solve quadratic equations and find its solutions using factoring method. 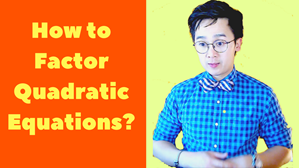 This lesson shows you how to answer the odd numbered problems on factoring quadratic equations. 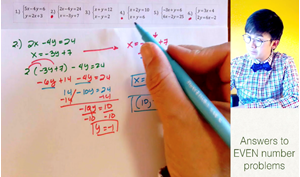 This lesson shows you 2 methods on how to find the solutions of quadratic equations. This lesson shows you how to answer the problems on finding the solutions of quadratic equations using different methods from the worksheet. 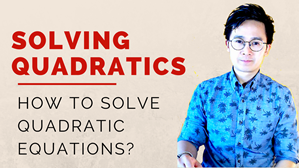 This lesson shows you how to answer the problems on solving NON-FACTORABLE quadratic equations. 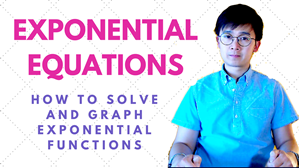 This lesson shows you how to evaluate logarithmic expressions by converting logarithms to exponential equations. 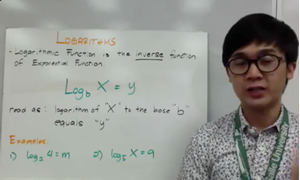 This video shows you how to answer problems on converting logarithms. 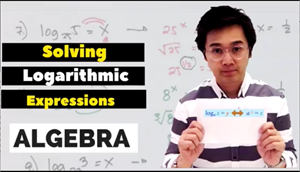 This video shows you how to evaluate logarithmic expressions. 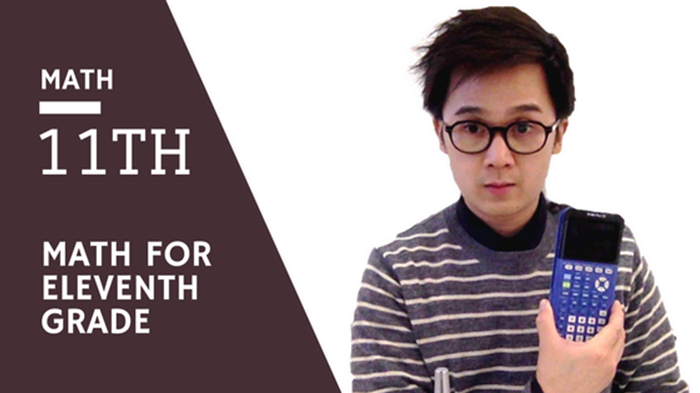 This video shows you how to use the properties of logarithms in simplifying logarithmic expressions and equations. This video shows you how to answer the odd numbered problems on simplifying logarithms using its properties. 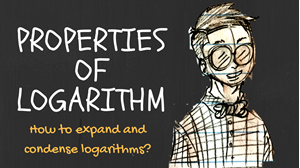 This lesson shows you how to solve logarithmic equations using the properties of logarithms. 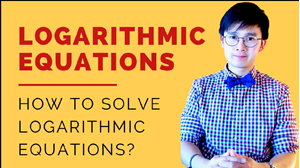 This video shows you how to answer the problems on how to solve logarithmic equations. 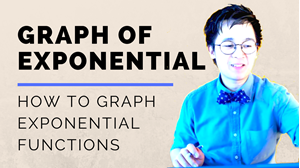 This lesson shows you how to solve and graph exponential functions by applying the properties of logarithms. It also shows you the transformations of an exponential functions. This video shows you how to solve the odd numbered problems on how to solve exponential functions and its transformations. 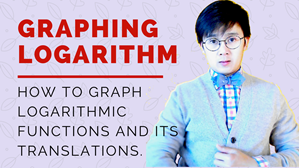 This lesson shows you how to graph logarithmic equations and its translations in the x-y plane. 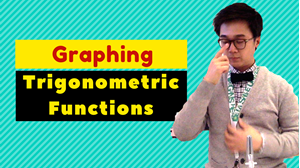 This lesson shows you how to graph logarithmic functions and its transformations. This lesson shows you how to model functions to check the behavior of specific functions with different degrees. This video shows you how to solve modeling problems involving functions from the worksheet. 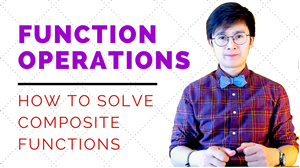 This lesson shows you how to use some arithmetic operations Involving functions. 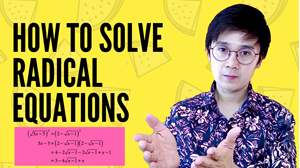 This lessons shows you how to answer the problems involving arithmetic operations of functions. 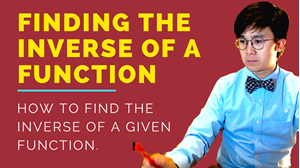 This video shows you how to perform composition of functions. 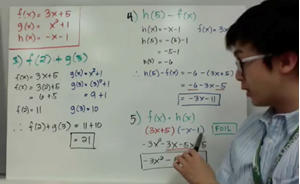 This video shows you how to answer problems on composite functions. 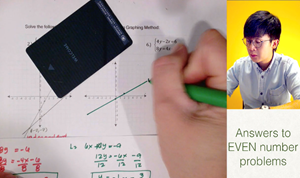 This video shows you how to solve and graph the inverse of a function. 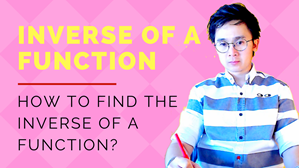 This video shows you how to answer the problems involving inverse of a function. 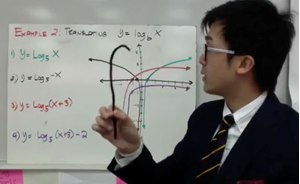 This lesson shows you how to graph sine and cosine functions and its inverses. 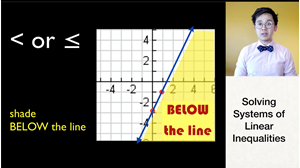 This video shows you how to graph the sine and cosine functions as well as its inverses. This lesson shows you how to compute for the probability of an event given its sample space. This lesson shows you how to solve the problems on classical probability from the worksheet. This lesson shows you how to compute for the conditional probability and events given a 2-way table. This lesson shows you how to compute for the conditional probability from the worksheet. 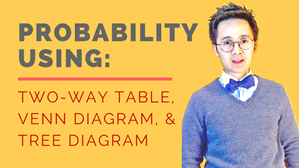 This lesson on probability shows you how to compute for the probability of an event given its Venn diagram. 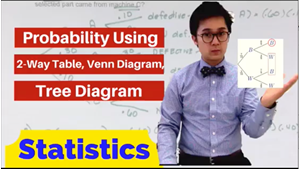 This video shows yo how to answer probabilities of an event given its Venn diagram. 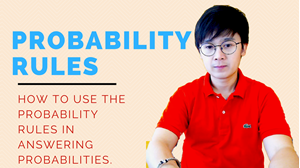 This lesson shows you how to answer probability of dependent and independent events. 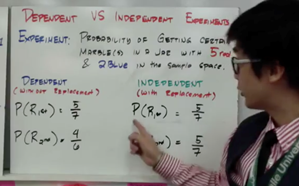 This video shows you how to answer problems involving the probability rules of dependent and independent events. 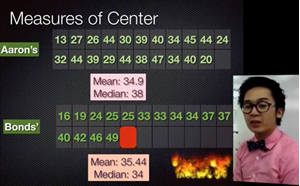 This lesson shows you the measures of the center, shape, and spread of a distribution. 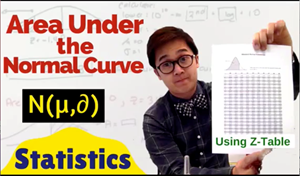 This lesson shows you how to describe the shape, spread, and center of a distribution. 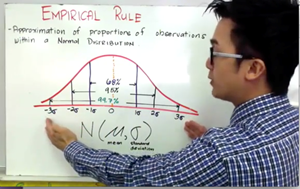 This lesson shows you how to estimate the area under the Normal distribution using the empirical rule. 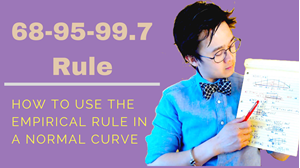 This lesson shows you how to compute for the proportion or percentage using the Normal curve. This lesson shows you how to compute for the percentile of a Normal distribution using the Z-score. This shows you how to answer the statistics problem on percentile in the worksheet. 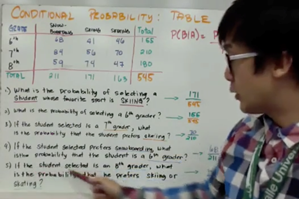 This lesson shows you how to answer problems involving Normal probability. This lesson shows you how to compute for Normal probability. 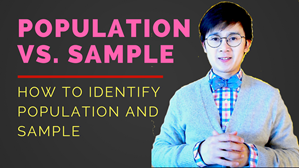 This lesson shows you the difference between population and sample in statistics. 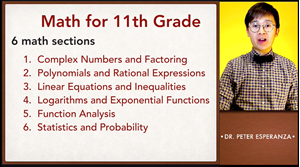 Math for 11th grade builds your intermediate algebra skill on working with linear, quadratic, and exponential functions. 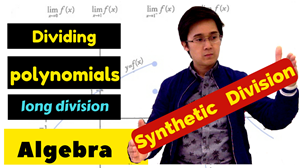 The course extends on the topics of functions which include polynomial, rational, radical, logarithmic, exponential, and trigonometric functions. 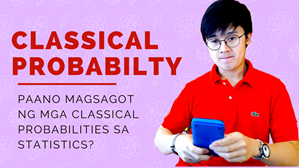 You will also work closely with the expressions that define the functions, and continue to expand and hone your abilities to model situations and to solve equations, including solving quadratic equations over the set of complex numbers and solving exponential equations using the properties of logarithms. Upon completion of this course, students will be prepared to move on to math courses which demands strong algebra skills such as: calculus, statistics, trigonometry, analytic geometry, precalculus, linear algebra, and some college courses like calculus 1, calculus 2, and introductory statistics. 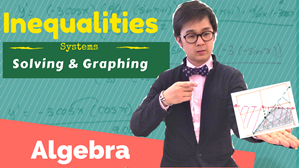 Student taking this course are expected to have basic algebra skills such as solving linear equation, factoring quadratics, and simplifying rational expressions. 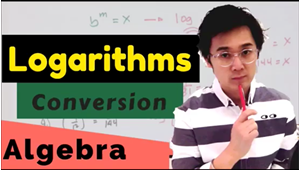 This video course is primarily intended for students who are interested in taking higher math elective classes at the high school and math classes in college. This course will also help students in building their mathematical and analytical skills which will prepare them in taking other courses in mathematics and the sciences. Some of the math topics covered in this course use Ti-84 or Ti-83 in solving math problems. The use of any mobile apps like Desmos can also be helpful in understanding behavior of functions through its graph. Step 1) Watch the lesson video. Step 2) Download the worksheets and work on the assigned problems. 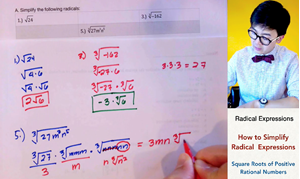 Step 3) Watch the Worksheet Review Video to compare your answers using the teacher’s worked out math solutions. LESSON 35 - Measure of center, shape, and spread. 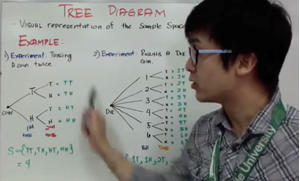 LESSON 39 - Differentiating populations and sample. Interests: Crossfit, Tough mudder, web development, and cooking. Skills: I can do handstand push-ups and double unders. Issues I care about: Advocacy of the Flipped Classroom model. Math is like learning how to ride a bike, you actually need to ride it and not watch someone to learn it.